School is a place where students of different backgrounds and skill sets come to grow their knowledge. Some students require special education programs to assist them with the learning process. Students with special needs learn from an array of academics and methods designed to prepare them for higher education and success in the workplace later in life. But when learning takes place in isolation from the general populace, it poses downsides for students and educators. Isolated special education programs exclude students who have been identified as having special needs from learning in a general education classroom. 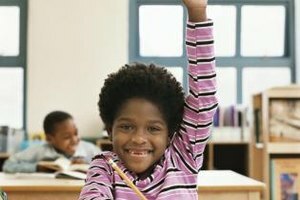 To be a participant in these programs an individualized education program, or IEP, that outlines specific academic and behavior needs is necessary for students with disabilities. Special needs students receive instruction that may include accommodations, modifications and targeted lessons to build their foundational skills. Teaching in isolation prevents the opportunity for special education teachers to collaborate with colleagues who teach general education classes. They are unable to plan strategies for lessons or have discussions about how to best meet the needs of all students. This limits the quality of education for all students, especially those with special needs in regards to learning content from the general curriculum and experiencing various approaches for instruction. Educators who teach students with special needs utilize specialized resources. They are modified for learners with special education needs, but they are unlike the resources used for teaching the general curriculum. In some cases modification limits the chance for special needs students to learn content that will prepare them for more challenging work. When this occurs, special needs students find it difficult to understand grade level content, which puts them further behind in academics. Students placed in isolated special education programs are grouped together on the basis of having a disability. This type of seclusion from peers who are not classified as learning disabled inhibits their social interaction. The setting is not as diverse as a general education classroom. Grouping does not allow students to engage in a well-rounded academic and social experience, which is critical for advancing their knowledge, social and behavioral development. O'Brien, Valerie. "The Disadvantages of Isolated Special Education Programs." Synonym, https://classroom.synonym.com/disadvantages-isolated-special-education-programs-16831.html. 26 September 2017. 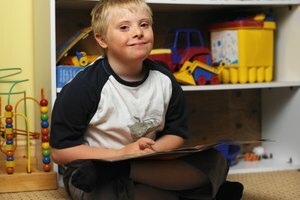 What Is the Importance of the Special Education Program?